Aussie tennis player defends match point with the wrong end of the racket - trendistic.com: ever tried. ever failed. no matter. try again. fail again. fail better. If you’re going to lose, do it with the style of a sullen teenager. 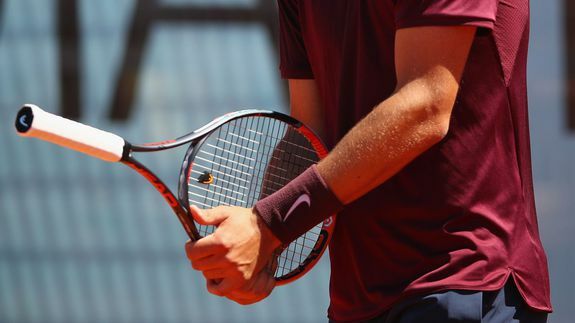 Australian tennis player Bernard Tomic, 23, did just that on Tuesday, deciding for some reason to hold his racket in reverse while trying to “defend” match point at the Madrid Open. The world number 22 tried, with the least possible amount of effort, to hit back the serve of Italian Fabio Fognini who was up 40-0 in a 5-4 set. Predictably, the ball sailed past the ridiculously small surface area of Tomic’s racket handle.